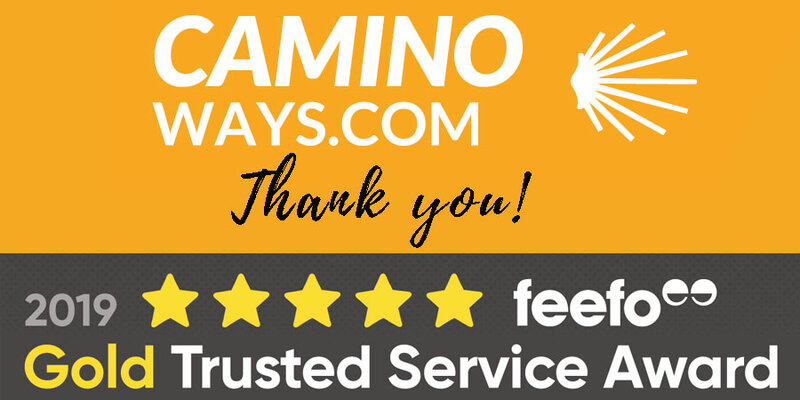 At CaminoWays.com we are thrilled to be winners of the Feefo’s Gold Trusted Service Award again for 2019, which means top marks for customer satisfaction. This wouldn’t be possible without you, our lovely pilgrims and friends, who trust us to plan your amazing adventures every year. A huge thank you for letting us be part of your journey year after year and for sharing your feedback and wonderful reviews with the world. As a valued customer and a way of saying thank you, as a returning customer you will receive 12% OFF your next trip with us. For more information about the Camino de Santiago or to book your next trip, contact our travel specialists. Thank you and Buen Camino!